This is a very useful demo for how to create Alert Dialog Box or Confirmation Box in Android. Thanks for you nice comment on my post! I know there is no comment no help but still simple..
Nice tutorial Manish, Thanks for writing it. So My idea is to reuse this confirm box for "delete/edit" many more other functionality. Sorry Today I saw this comment! Next time I will try to reply on time. 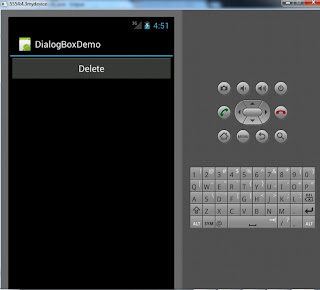 Hi, Manish .Nice tutorial for basic I wanted to implement a dialog box on four group button .so, How can i do that. 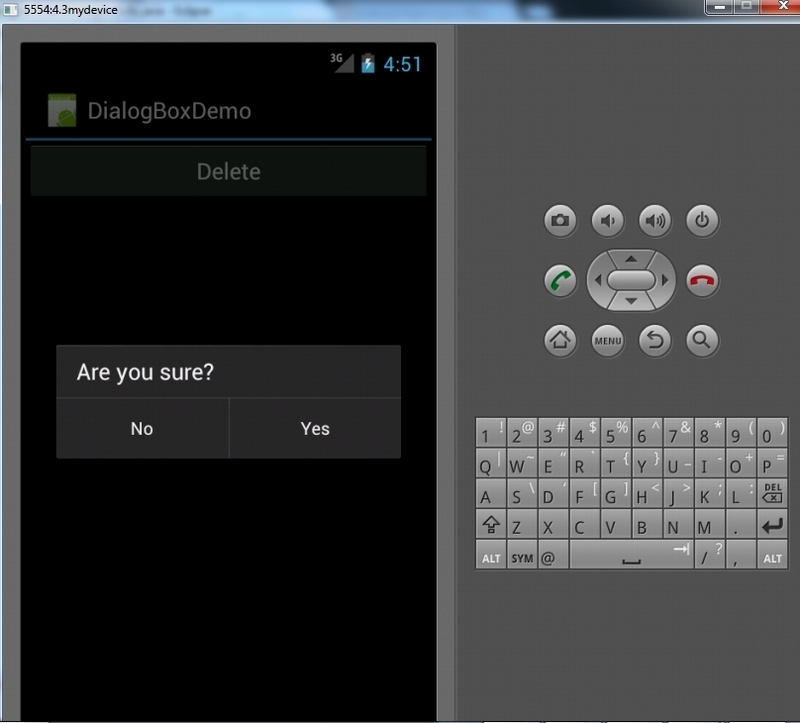 Actually Dialog button don't have more then 2 button. For this you can create Popup window and create how many button you want. You can check my blog for popup window.. But i have a question..what if i am using it in preferences and i have more than one confirmationDilog prefefrences? Like clear passwords, reset to defaults and so on..How do i set onClickListener to all ConfirmationDiloges using android:key ? * Created by Administrator on 3/5/2016. Just pass the "context" instead of "this". Thanks Manish, yes when I passed context worked :).